This year marks the 68th anniversary of Indonesia-Italy bilateral relations and the 38th for the presence of ITA office in Indonesia. 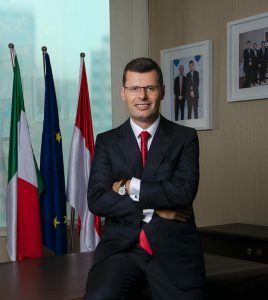 “And there has been a growing awareness of the economic opportunities in both trade and investment here in Indonesia,” says Dr. Alessandro Liberatori, the director of Italian Trade Agency (ITA) in Jakarta, a government organisation that also functions as Trade Promotion Office of the Italian Embassy. Over an afternoon tea in his Jakarta’s office, Mr. Liberatori also praises the hard work of Indonesia towards increasing the competitiveness and improvement of business environment in the country. “Important steps forward have been done in providing economic opportunities for companies from various industries including foreign investors but there is still ground for further improvement!” asserts Mr. Liberatori who is serving the current position since November 2015. 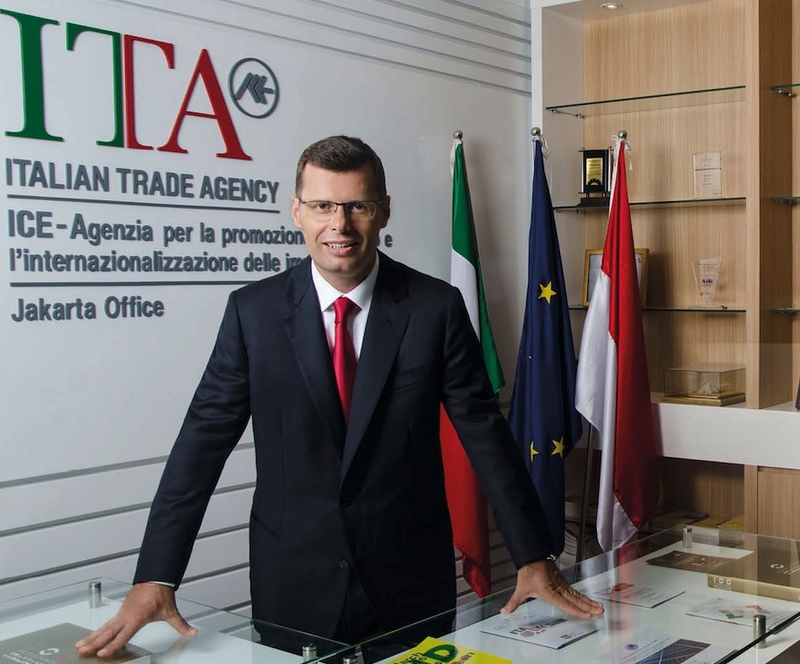 Prior to his appointment in Jakarta, he was posted at the ITA Headquarters in Rome and had been the director of ITA in Croatia for five years. 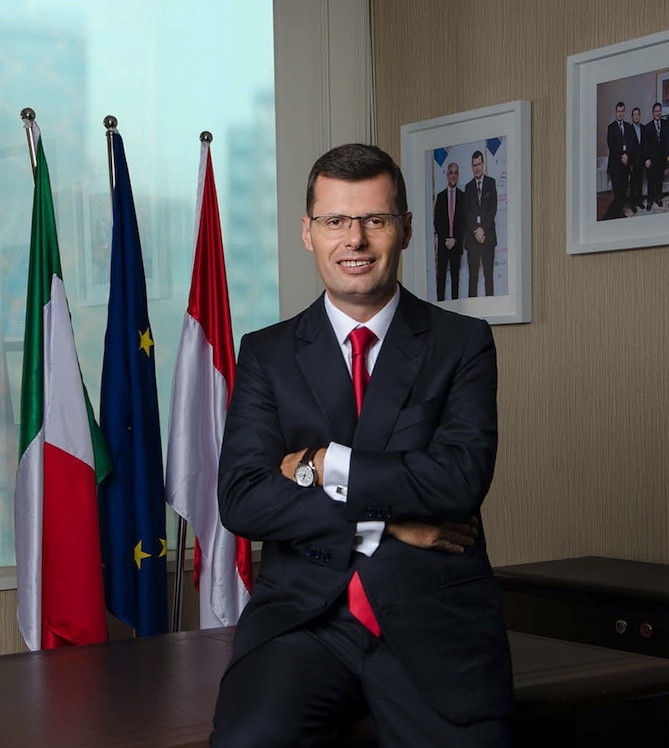 As for the economic and trade relations between Indonesia and Italy, Mr. Liberatori further asserts, “Our two economies are more complementary than competitive and we have never been so close as in the past couple of years.” His assertion is evidenced by a number of events; among others were the visit of President of the Italian Republic Sergio Mattarella in November 2015 and the official mission in May 2017 of the Italian Minister of Economic Development Carlo Calenda. Mr. Calenda also attended in an important Italian-ASEAN Economic Forum in Jakarta, which saw the participation of over hundred of Italian companies. Other event worth mentioning was the recent visit of Indonesia’s Foreign Minister, Mrs. Retno Marsudi, to Italy at the beginning of October. For 2018 the Italian Government has already identified Indonesia as one of the three focus countries in which to carry out a large cross-sector economic and trade mission. “We have more in our agenda various events, about 40, that have the potential to strengthen bilateral ties in trade and investment between Indonesia and Italy, including, just to mention one, our upcoming trade show in Rimini, Italy called SIGEP-The Sweetest business experience,” Mr. Liberatori says. Sigep is an international trade show featuring artisan gelato, pastry, bakery and coffee sectors. To be held on 20-24 January 2018, this annual event will be the 38th. “We are inviting a number of selected Indonesian companies and media to attend this exhibition, the most important in the world” he adds. The goal is to introduce what we can offer to Indonesian companies that are importers of machinery and ingredients for gelato, pastry, chocolate, coffee and bread; as well as those owners of chain ice cream, bakeries and coffee shops. We are also launching an In-Store promotion of Italian Food & Beverages in cooperation with Ranch Market, to be held in 23 stores across Indonesia from 17 to 26 November 2017 on the occasion of the Week of the Italian Cuisine in the World. Mr. Liberatori is married to Rita, and both are blessed with a son, Lorenzo, 15; and a daughter, Chiara, 13. The whole family lives in South Jakarta, and weekend is when they spend their precious time doing various activities all together. They also have a dog, Mia, a German shepherd, who is part of the family too. “I like to play soccer with my daughter and my son and to drive my Vespa. At weekend, we often go together with the rest of the family for a fun culinary journey, a movie or to the discovery of the most hidden and characteristic corners of Jakarta. We have together visited a number of holiday destinations in Indonesia, and we look forward to exploring more of what Indonesia has to offer,” the director of ITA in Jakarta says concluding the interview.